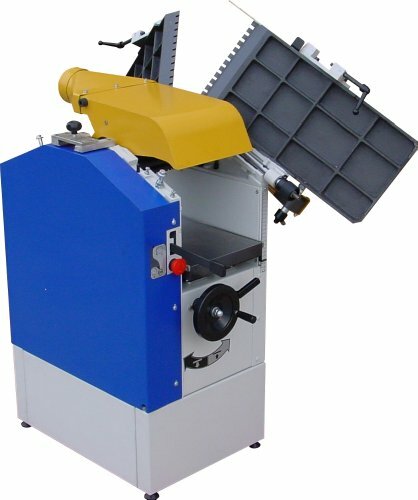 Precision ground cast iron beds and a long tilting fence which can be positioned at any point across the table make this machine a delight to use. 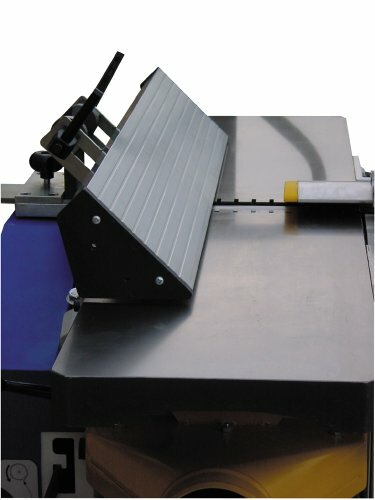 The 3 knife cutter block is powered by a 2hp induction motor and is capable of a cut up to 5mm deep in a single pass. To gain better visibility and access for thicknessing, both of the planing beds are hinged and swing out of the way, without using any tools. A dust hood / cutter guard is then swung into position and the conversion to Thicknesser is complete. 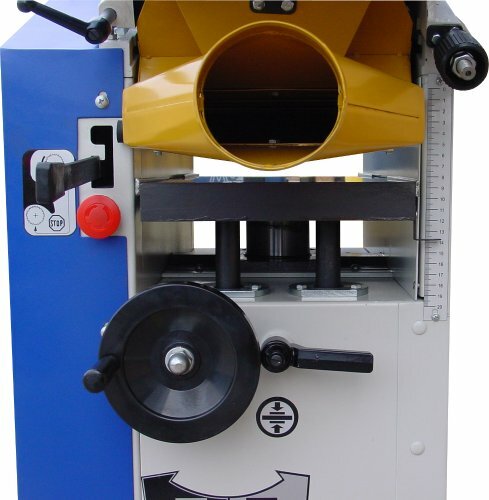 The feed roller drive, which features a rubber outfeed roller, can be disengaged during planing operations to save motor power and general wear on the machine. 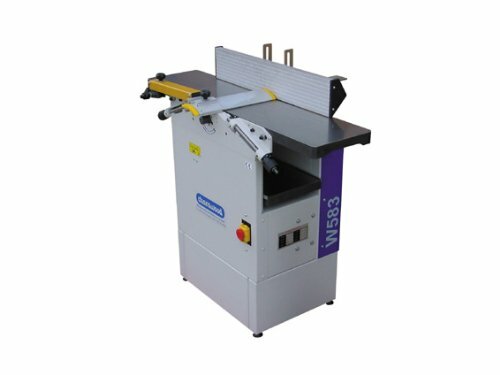 Supplied with 3 knives, 100mm dust extraction outlet, 4 adjustable feet, cable and plug. 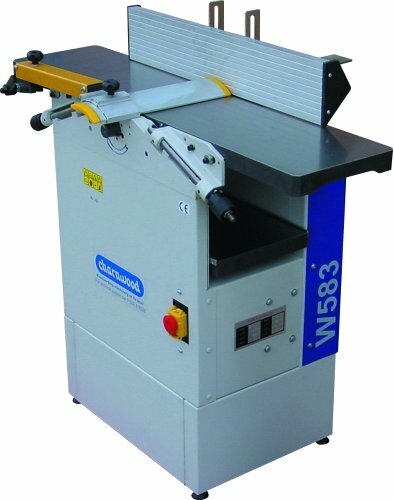 Our planer thicknesser will run off any standard 13amp supply.